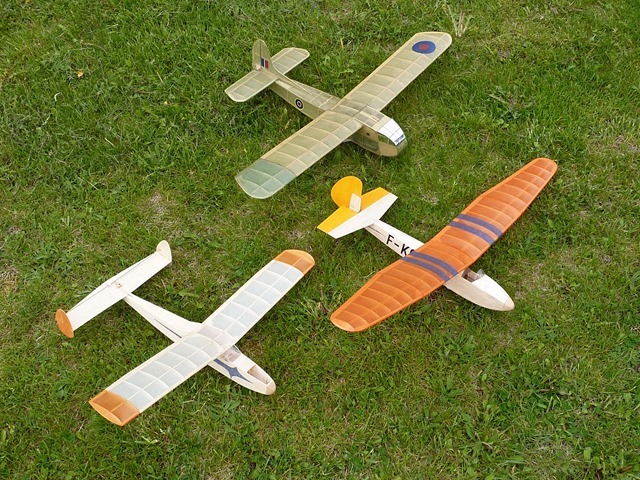 When swapping information with Christian I mentioned our hi-start glider competitions that had been well subscribed both during the Summer and at Flying Aces. Christian then said "The 36" bungee launch sounds cool. We don't have any large open areas nearby - so outdoor freeflight options are limited. 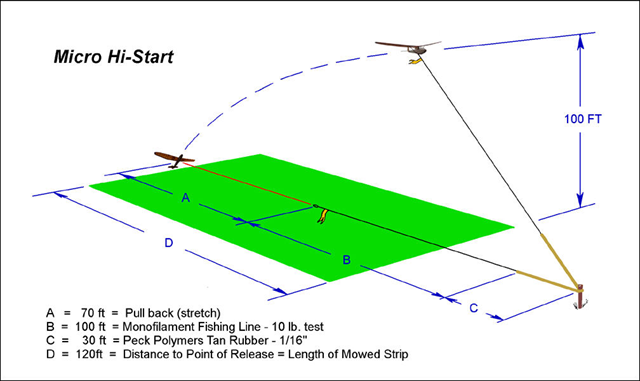 We played with similar sized RC jobs a few years ago - using this setup - with great success. " "Any Brit aeromodeller worth his salt will instantly recognize the aircraft in the foreground." which had a great deal of flying from the bungee.